Man Behind Lens: A Nikon Fanboy's Confession !? A Nikon Fanboy's Confession !? So am I a Nikon fanboy? I will not call myself as such but I do like Nikon cameras a lot, in my long career with different newspapers; my camera of choice has always been Nikon. 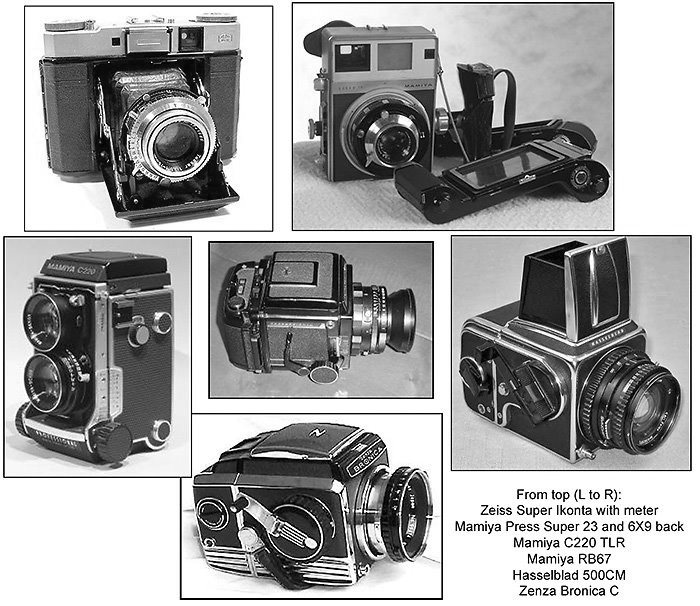 I started photography in 1966 with a used Zeiss Super Ikonta 120 range-finder camera, through the years I have used many other medium format cameras. The variety of 120 medium format cameras that I have used. My acquaintance with a 35 mm SLR was in 1967 when I went to Melbourne to further my education. My dear father bought me a Pentax SV with a 50mm f2 lens as my go away present. 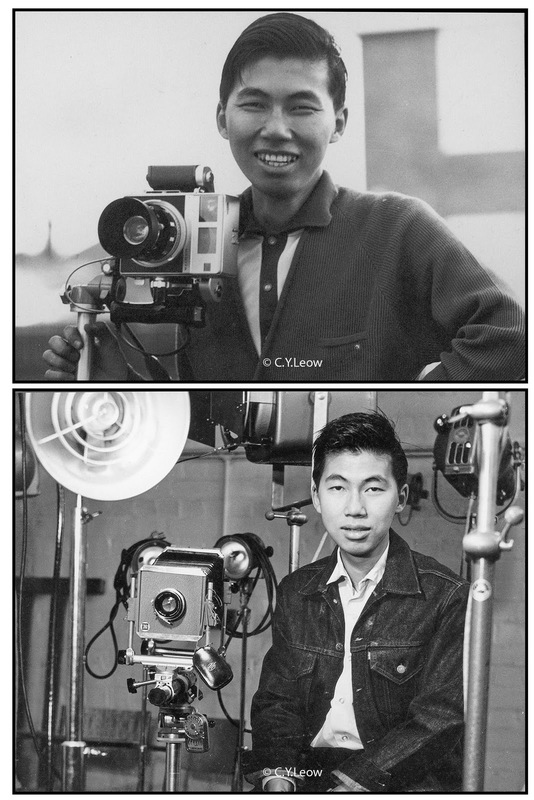 It was with my SV that I entered the 1968 Victoria Inter School Photo Competition. Representing my high school, I won the 1st, 2nd and 3rd prize of the nature section and Oakleigh High received a Minolta SRT SLR with a macro lens and a copy stand. 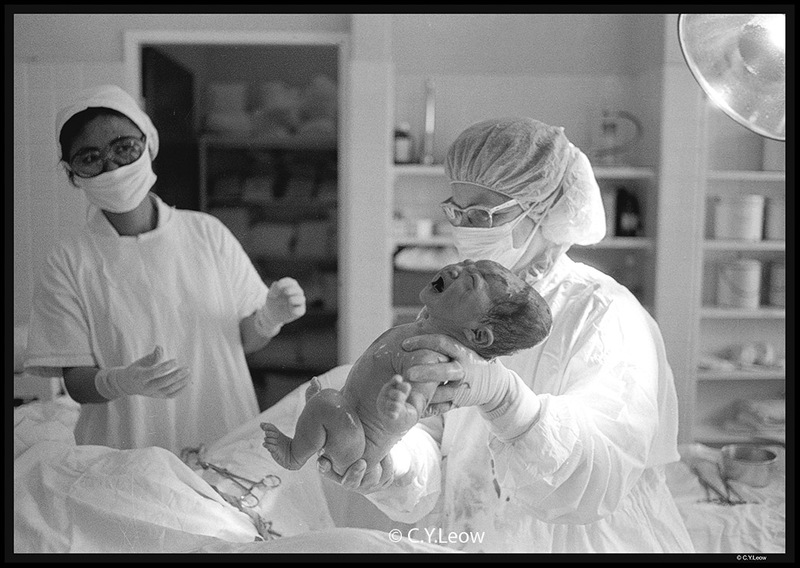 This is the 2nd prize winner, I cannot find the picture that won the Minolta; but I will one day! 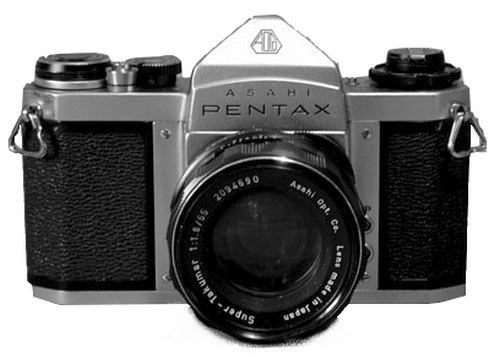 I like the Pentax so much that I bought a Sportmatic the next year. 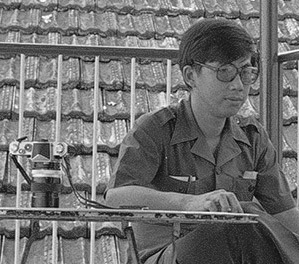 Where and when was Nikon came into the picture? It was during my photography course study at the R.M.I.T. 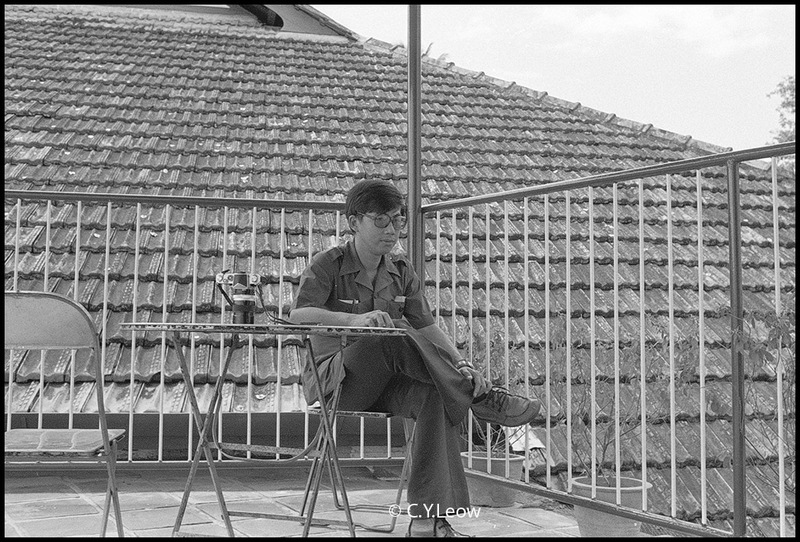 that I came to own a second-hand Nikkormat SLR. 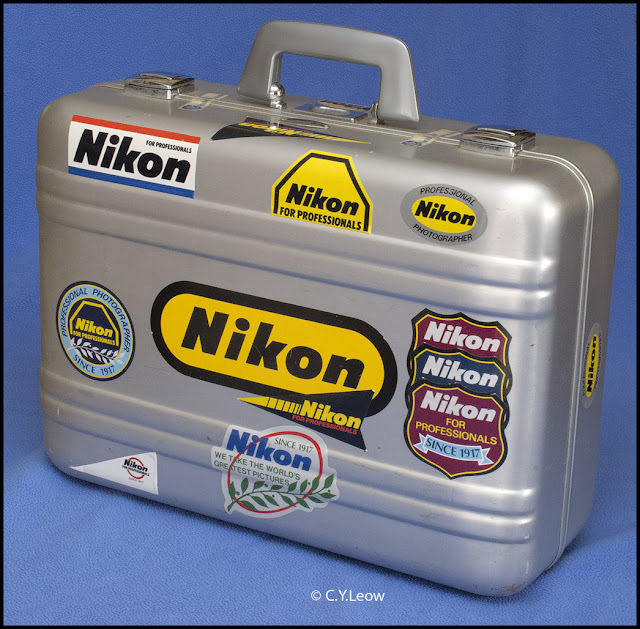 Nikkormat (Nikomat in Japan) was the brand used by the Japanese optics company Nippon Kogaku K. K. (Nikon Corporation since 1988). The Nikkormat SLRs were moderately priced, advanced amateur level stablemates to Nippon Kogaku's premium priced, professional level Nikon F and F2 SLRs. Just as the Nikkor and Nikon brand names had established Nippon Kogaku as a world class maker of lenses and high-end cameras, respectively, with professional photographers before it, Nikkormat made amateurs sit up and take notice. Alas during my schooling in Melbourne, my first Nikon was taken to a pawn shop when I was broke and I never manage to have enough fund to get it back! 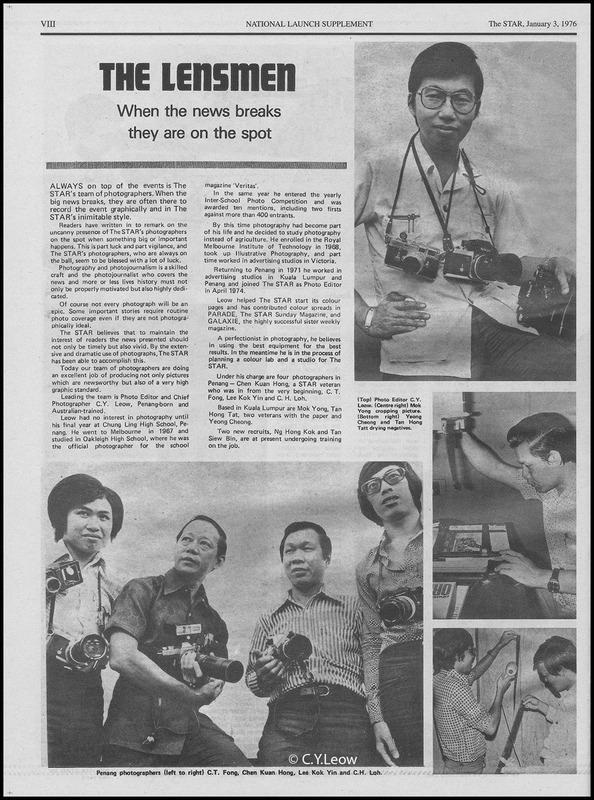 My acquaintance with Nikon went into fast forward when I joined The Star as their Photo Editor in 1974. First there was the Nikkomat, then the FM, FM2, F2, F3, F3T and a couple of F3P! These are the pioneer lensmen of The Star, all using Nikons; oh... I also have a Leica! Most of my best news pictures were taken with my Nikon, the camera was super tough; I don't think any other brand were able to take the kind of abuse a news photographer gave to their cameras! Waiting, waiting... my trusty Nikon F2 beside me. Another F2 on self timer took this picture. Nikon was there when I waited patiently for more than 10 hours, the arrival of our pride and joy at the Seven Day Adventist Hospital; Penang. A prize winning picture of our pride and joy, taken with a Nikon F2. 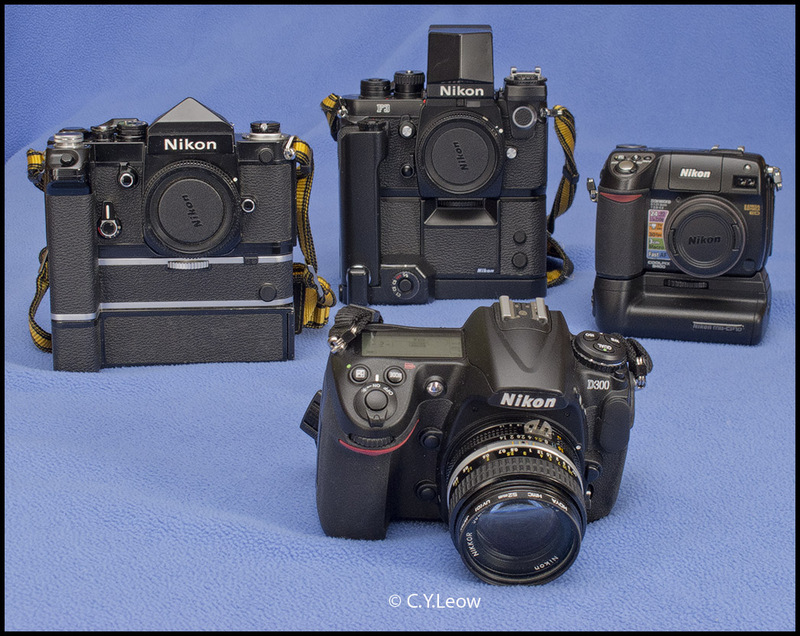 Today I still have FOUR Nikons in my possession. From the front, counter clock wise; the D300, Coolpix 8400, F3P and F2. I still use the D300 DSLR, the Coolpix 8400 is in cold storage. The work horses F2 and F3P are in mint conditions. These were bought new and hardly used! Any offer?? 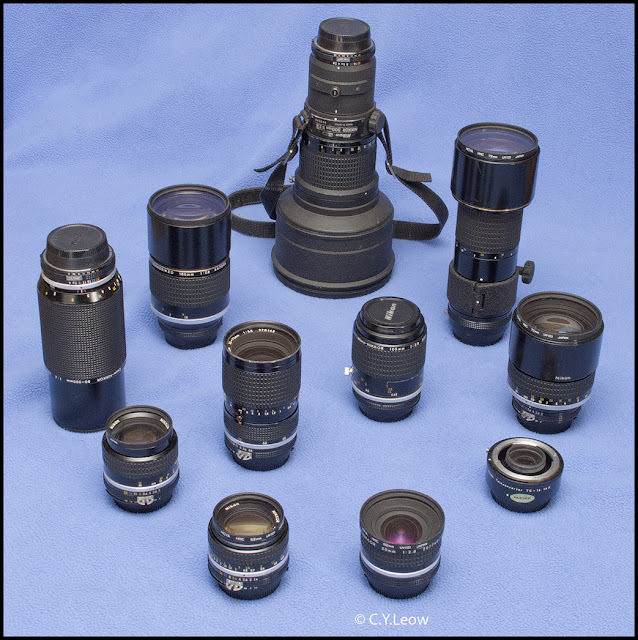 Those are my collection of Nikkor manual focus lenses. From the left front are the 50/1.4, 20/2.8 and the 1.4 tele converter. The big, short 135/2 is beside the converter. The second row from left are 80/2, , 35-70/3.5 two touch zoom. 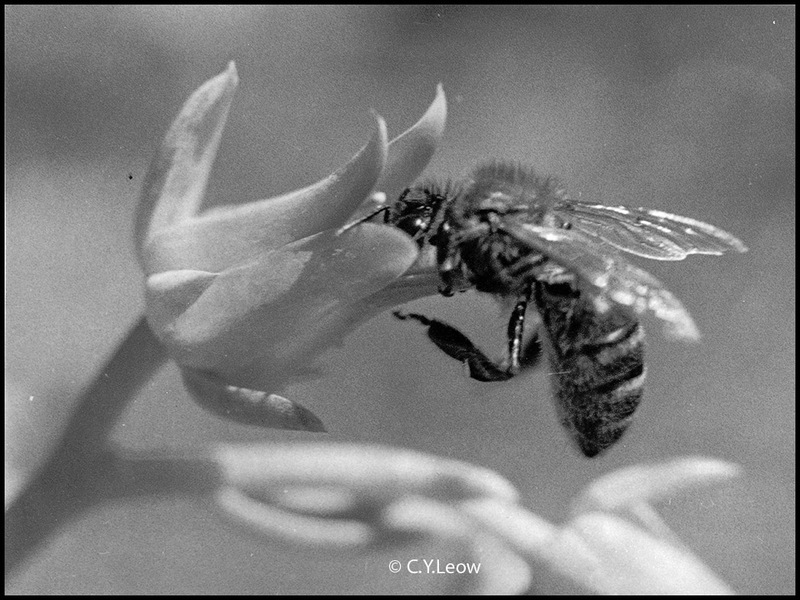 The 105/2.8 micro and the super compact 300/4.5 IF-ED. Would you believe I still got a Zero Halliburton case, with authentic Nikon stickers that appeared in 1985. May be I am a Nikon Fanboy after all!! Any fanboy will tell you that it cost $$$$ to keep our "addiction" going! After a L-O-N-G L-O-N-G wait, like Johnny Come Lately; Nikon finally waded into the mirrorless, lens-swapping game with their new Nikon 1 system. Wikipedia has this to say about Nikon's new EVIL (Electronic-Viewfinder-Interchangeable-Lens) camera! The Nikon 1 series are high-speed mirrorless interchangeable-lens cameras. Announced on 21 September 2011, Nikon claims that it is "Nikon's most significant announcement since we introduced our first digital camera 14 years ago". 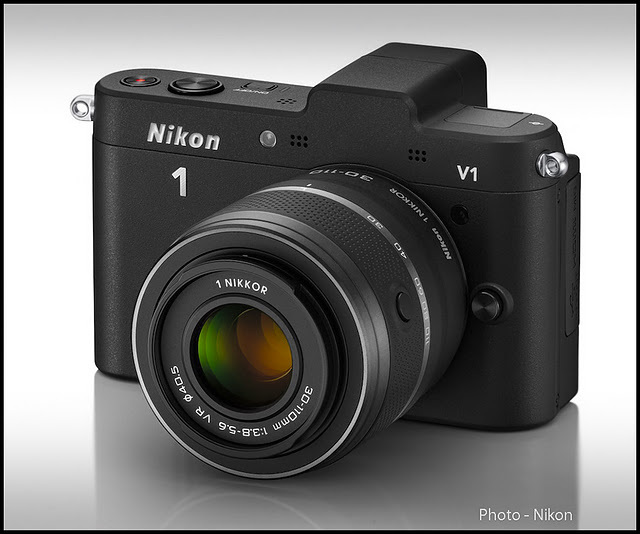 The series currently includes Nikon 1 J1 and Nikon 1 V1. High-speed is characteristic: At the time of announcement it features world's fastest autofocus with 10 fps even during videos based on hybrid autofocus (phase detection/contrast-detect AF with AF-assist illuminator). World's fastest continuous shooting speed (60 fps) among all cameras with interchangeable lenses including DSLRs completes this. Slow-motion movies can be captured in up to 1200 fps with reduced resolution. Does ALL that goodies make all Nikon Fanboy droll? Ha ha ha! I have one small problem though, Le General has issued an ultimatum that I am NOT to buy ANY MORE camera, or else! EIGHT DAYS from now, on the 28th December; 3 days after Santa left town, YC Meng; friend and ex colleague will arrive with his wife. They are having a holiday here till 8 Jan next year. YOU GUESS IT! Meng will bring with him a set of Nikon 1 V1 with two lenses and the made for V1 speedlight for me to "test"! How did I pull that off? So all you Nikon Fanboys, Nikon 1 lovers or you just wanna find out how Nikon latest offering perform in the REAL WORLD; do check back after December 28! Encounter Of The Nikon 1 Kind! Well, black and white but also good clarity them have. Lumix GM5, a Much Better GM1! LUMIX DMC-FZ1000, BIGGER is BETTER? MY GM1 12-32 Kit Lens BROKE!! Get A Grip For Your Lumix GM1 !